The Multi-Car Collision Avoidance (MuCCA) team began a public trial this month to gather information on sensor systems that will ultimately aid the development of an advanced connected and autonomous safety system that aims to avoid or reduce multi-car, high-speed accidents on motorways. Cameras and LIDAR – housed in a roof box on a standard road vehicle driven by a human – will be used to capture video on a typical stretch of busy motorway. To avoid capture of any personal data, the focus on the video will be adjusted so that any faces captured cannot be recognised and number plates cannot be read or interpreted. 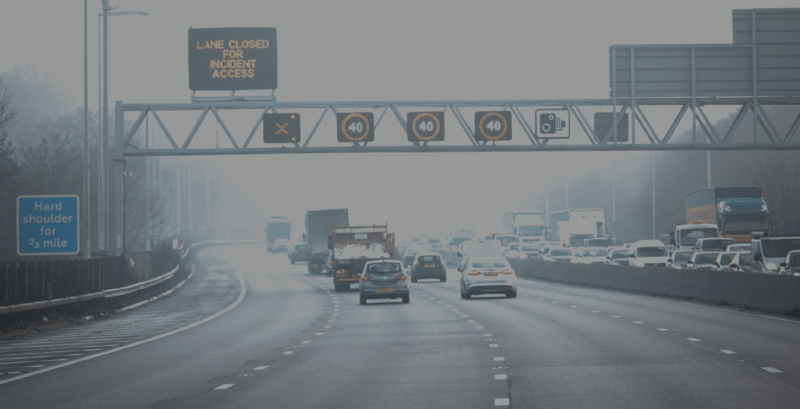 Understanding typical traffic conditions on the motorway, and normal driver behaviour, is needed for the building and rigorous testing of the MuCCA system. 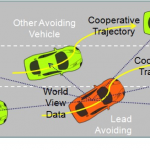 Eventually the MuCCA system will receive information from other connected cars (while also analysing actions of non-MuCCA cars), before making a collective decision about the best course of action to avoid or reduce any collisions. It will then take control of the cars, navigating around the problem, before returning control to the driver once safe. The aim of these trials is to create a dataset to assess the performance (and limitations) of the LIDAR and object identification system, to understand the range over which vehicles in other lanes can be detected and the level of any false positives or negatives. The trial vehicle will carry out a short series of motorway trials under varying conditions, and will not have any autonomous capabilities linked to the sensor system. It is not a part of the project scope to test the MuCCA vehicles on public roads; all testing of MuCCA vehicles will be done on private testing grounds. MuCCA is a £4.6m, 30-month project supported by Innovate UK, will implement, test and refine solutions to many of the technical challenges that face fully autonomous cars. These challenges include sensor systems, machine learning, vehicle-to-vehicle communications and vehicle control systems. The trials will occur on the M1 motorway and connecting carriageways in vicinity of Milton Keynes – data will only be gathered on the motorway. No identifiable personal data will be captured during the trials.